When you need automotive repair services, look no further than Northeast Auto in Indianapolis, Indiana! We offer the best deals and most competitive prices for automotive services in town. Our highly trained and ASE licensed mechanics are extensively trained and experienced in the automotive repair industry. We service and repair all make and model vehicles, from old to new, foreign or domestic! You can trust that you are receiving the most professional and comprehensive car repair and service when you visit Northeast Auto in Indianapolis! Continue below to learn more about what we have to offer! On top of having the lowest car repair prices and service rates in town, Northeast Auto also offers automotive repair and service coupons! That’s right! Not only are you going to be quoted a very competitive and low rate for your car repair service, you can use one of their many coupons or monthly deals in conjunction! This means you are sure to pay the lowest rate for the auto repair you need in Indianapolis. Our coupons are good for factory scheduled maintenance, like oil and fluid changes, as well as, major engine work, brake repair, tire services, and more! Call Northeast Auto Service at 317-475-1846 for professional Indianapolis auto repair and service you can trust. We have been helping Hoosiers repair and maintenance their vehicles for over 20 years, while offering affordable prices and reliable work. You can schedule a free inspection and estimate, anytime! We can even assist with tows! 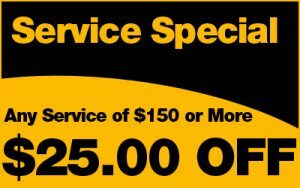 Don’t forget to mention one of our auto repair coupons or discounts to get the best deal in town. This entry was posted in Automotive Repair Services and tagged auto repair coupons Indianapolis, auto repair discounts Indianapolis, auto repair shop Indianapolis, auto service coupons Indy, cheap auto repair Indianapolis. Bookmark the permalink.